The demand for clean energy continues to grow as the impact of climate change is felt across the globe. Alternate energy has emerged as a viable answer and will dominate the energy business of the future. Technological innovation will continue to increase the efficiency, reliability, and safety of renewable sources of energy. As new energy technologies get commercialized, the emphasis on customer satisfaction, operational efficiency and quality will gain increased traction. The Utility businesses that stay ahead of the renewable trend with green plants and technologies are those that will dominate the 21st Century. How Can SAP help renewable energy sectors to pace up? SAP’s comprehensive energy and utility solutions have supported renewable energy sectors by simplifying and automating the crucial tasks. SAP’s Carbon Impact Software is a single platform that helps companies to get certificates by providing the important data on carbon emissions. The solution keeping tab on the pollution is certainly fruitful to any company. SAP Sustainability Performance Management module seamlessly integrates with Carbon Impact Software and provides the in-depth energy usage data. This would help in keeping a tab on the energy consumption. SAP’s environmental health and safety management and enterprise resource planning modules empower the companies to maintain strict adherence to federal guidelines. SAP’s energy and utility application can be easily integrated with other SAP modules like HR, Finance, Supply Chain etc. This leads the company to experience every department streamlined under one portal. The platform endows companies to keep good relations with customers, groups, and employees, too. Accely has provided the best-practice energy and utility solutions to the clientele across the world. By plugging the SAP application into the system, the companies could take a control over carbon emissions and other significant pollution factors. 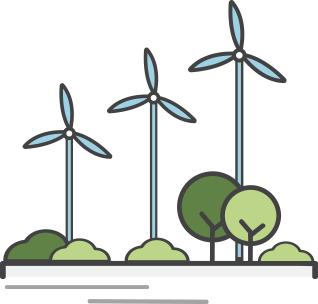 Accely is the most entrusted IT partner for renewable energy sectors because of quite affordable, on-time and productive SAP solutions delivered so far.